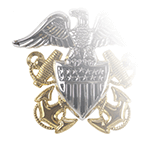 President Jimmy Carter established the Defense Meritorious Service Medal (DMSM) with Executive Order 12019 issued 3 November 1977, making it the fourth decoration established specifically to award meritorious service of military personnel serving outside their branches in joint staffs, unified commands, or other Department of Defense Organizations. It was preceded by the Joint Service Commendation Medal (1963), Defense Distinguished Service Medal (1970), and Defense Superior Service Medal (1976), and ranks third in precedence of all Defense/Joint Decorations and Awards. 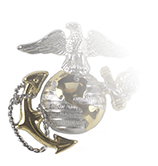 It is ranked ninth in precedence of DoD-Wide Military Decorations, below the Purple Heart and above the Meritorious Service Medal. 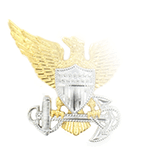 To be eligible for consideration for the DMSM, candidates must be active-duty members of either the U.S. Armed Force or the armed forces of a foreign nation. 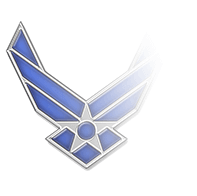 The award is for non-combat meritorious achievement or service while assigned to a joint activity; the service period comprises the entirety of the candidate’s assignment, which typically must be at least twelve months in length. While it is hypothetically possible for a Servicemember to earn the DMSM while assigned to temporary duty in a joint activity, regulations make it clear that this exception will be made only under highly unusual circumstances. 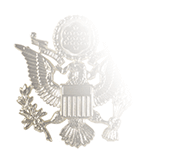 DMSM recipients who earn the award more than once are authorized to wear a bronze oak-leaf cluster on either the suspension ribbon or the service ribbon for each issuance of the decoration. Silver oak-leaf clusters are worn in place of five bronze oak-leaf clusters; upon receiving the DMSM a sixth time, for example, the four bronze oak-leak clusters (representing the second through fifth award) are replaced with a single silver oak-leaf cluster. The first recipient of the DMSM was Army Major Terrell G. Covington. A West Point graduate who began his career as an enlisted Soldier (187th Infantry, 101st Airborne), Covington’s skills at systems development were rewarded with an assignment to DARPA (Defense Advanced Research Projects Agency), where he specialized in projects involving Light Combat Vehicle (LCV) technology; he went on to design, develop, and manage the joint Army/Marine Corps LCV Technology Program. Covington retired from active duty in 1982 and joined the RAND Corporation, where he continued research in combat-vehicle technology and became the lead project manager for the organization’s Advanced Unmanned Systems program. Covington retired from RAND in 1997 and passed away in September, 2012.